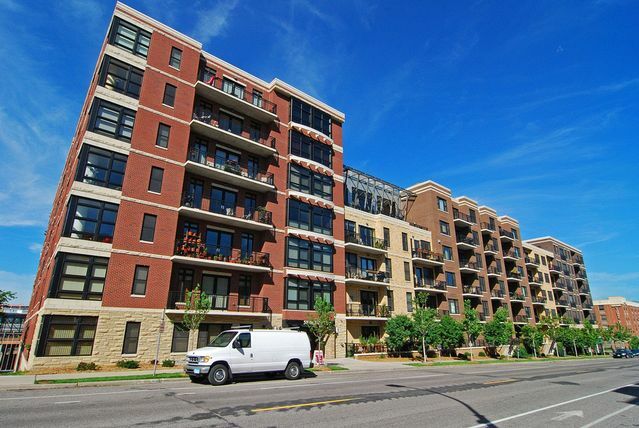 Located in the heart of the North Loop (otherwise known as the Warehouse District), the 5th Ave Lofts are a great blend of the loft and condo style. The units in this 7 story high-rise building have high ceilings, exposed concrete pillars, but unlike typical industrial conversions, the ceilings are finished and the floors are hardwood. Who says you can't get the best of both? The developer, Jim Stanton is very experienced in custom home building in Minneapolis, and is the visionary behind the Bridgewater Lofts in the Mill District, Riverwalk Lofts in the North Loop, Rock Island Lofts in the North Loop, Lindsay Lofts and 212 Lofts. The community is very tight knit, and close to the river walking and biking paths. The Twins Stadium is also within walking distance. One of the largest condo buildings in the Warehouse District, homeowners enjoy some of the best building amenities in the area. Are you a pet owner? 5th Avenue Lofts has its own privately fenced area designated for tenants and their four-legged companions. If you are looking for a more conventional style condo with a 'loft' flare the Fifth Avenue Lofts will be a great option to consider. Scroll down to see all 5th Avenue Lofts for sale in Minneapolis or learn more about the building features and amenities that make this such a wonderful housing option. 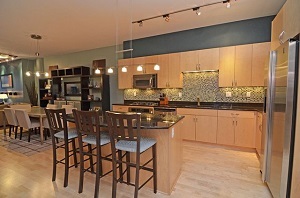 Looking to live at the 5th Ave Lofts Minneapolis but not finding what you are looking for? Inquire about our 'off MLS' Minneapolis Condo and Loft pocket listings. Being the biggest condo building in the block definitely has its benefits! Some of the deluxe shared amenities include a 2,000 square foot community center, a workout room, and a pair of rooftop decks. Like many of the loft conversions in the area, 5th Ave Lofts offer open floor plans, large windows and expansive 10 ft. ceilings as well as hardwood flooring, private balconies, and gourmet stainless steel kitchens. Units are spacious, and range in size from 1,149-3,039 square feet. In addition, ground floor condos come with private entrances. 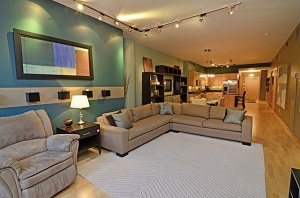 Do you own a condo in the 5th Ave Lofts condos and happen to be thinking about selling? Let me assess your condos value and get you a price quote. Fill out my condo sellers form and our team of Minneapolis condo experts at Downtown Resource Group will get back to you with more information on the recent sales activity in your building as well as provide you a marketing plan and general market assessment.